Recognizing exemplary higher education faculty-led teams and institutions for advancing student success through the adoption of digital courseware. 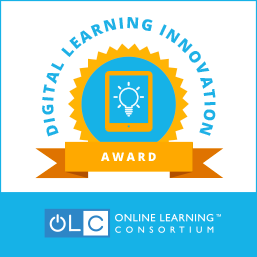 The following institution was awarded $100,000 for its innovative and creative programs, dedicated to accelerating the adoption of digital courseware for general education or gateway courses. Thomas B. Cavanagh, Ph.D. is the Vice Provost for Digital Learning at the University of Central Florida (UCF). In this role, he oversees the distance learning strategy, policies, and practices of one of the largest universities in the nation, including program and course design, development, and assessment. In his career, Tom has administered e-learning development for both academic (public and private) and industrial (Fortune 500, government/military) audiences. A regular presenter at academic and industry conferences, he is an award-winning instructional designer, program manager, faculty member, and administrator. Blended learning is a frequent presentation topic and he has spoken both domestically and internationally on its design and implementation. committee, chair of the EDUCAUSE Learning Initiative Advisory Board, Instructure Canvas Advisory Board, WCET Steering Committee, Florida Distance Learning Association Advisory Board, Chair of the Distance Learning and Student Services Members’ Council of the Florida Virtual Campus, and as a track chair for the Sloan-C Conference on Blended Learning. Tom’s research interests include e-learning, technical communication, and the societal influence of technology on education, training, culture, and commerce. He is also an award-winning author of several mystery novels. Founded in 1963, the University of Central Florida (UCF) is an emerging preeminent research university, offering 215 degree programs to more than 66,000 students. 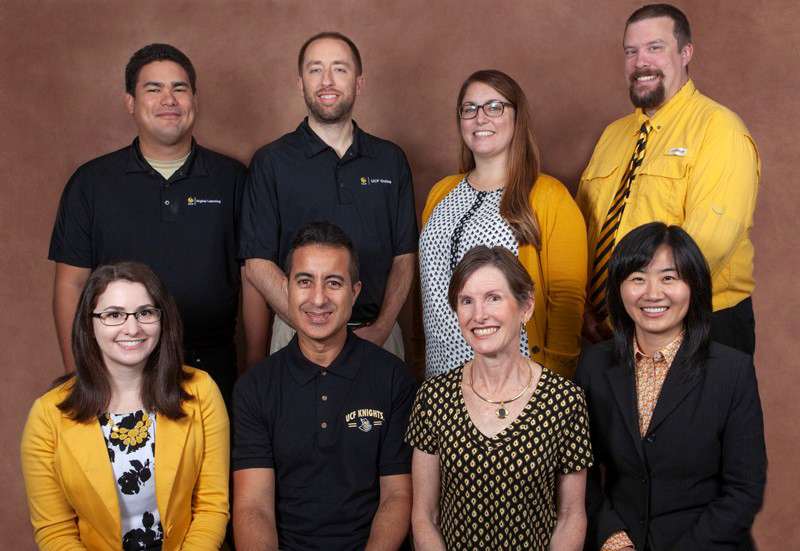 UCF’s award-winning Center for Distributed Learning (CDL) coordinates, produces, and delivers over 3,200 online and blended classes each semester. Almost 3,000 have participated in IDL6543 and ADL5000 – UCF’s award-winning faculty development programs for teaching online. Over 44% of student credit hours (SCH) are in online/blended instruction, and over 82% of UCF students register in at least one online/blended course, with overall online success and withdrawal rates outperforming face-to-face counterparts (Dziuban & Moskal, 2017). Development of online learning as a strategic initiative has enabled UCF to provide continued access to quality education at a cost-effective and expanding scale. This adaptive learning initiative is one of many that helped earn UCF U.S. News and World Report’s recognition among Most Innovative Universities. UCF has strategically deployed adaptive courseware to positively impact student success in key, often challenging, general education offerings. Our math course instructors have collaborated with instructional designers and digital courseware providers to redesign two gateway mathematics courses. Since spring 2015, 58 sections of the Intermediate and College Algebra courses have been redesigned and offered in adaptive courseware that impacted 9,157 students. Our targeted student population consists of a significant number of transfer, Pell-eligible, and underserved students. With ongoing and rigorous assessment, we have documented improved success, increased learning, and enhanced engagement through the use of an adaptive courseware strategy. UCF’s evaluation of adaptive courseware focuses on students’ affective, behavioral, and cognitive reactions to adaptive learning. The UCF student reaction protocol is currently used by several universities (Colorado Technical University, Bay Path, UMUC, etc.). Student success has improved significantly, and Realizeit learning metrics indicate a potential for early prediction of at-risk students (Dziuban et al, 2016). Continuous course design improvement is critical, with system analytics illustrating improvement through a gain in outcomes and a decrease in the variability of students’ performance across time in College Algebra, where success rates have increased by 15% compared to semesters prior to adoption, compared with online, non-adaptive sections. Some students even completed both the adaptive Intermediate Algebra to College Algebra sequence within a single semester, decreasing costs and time-to-degree. Affective student feedback has been overwhelmingly positive (Dziuban, Moskal & Hartman, 2016), finding the courseware unrestrictive, assessment exercises effective, and their engagement increased. Students are also positive about taking future adaptive classes (Dziuban, Moskal, Cassisi, & Fawcett, 2016). Joint research with CTU indicated that while student demographics varied across the institutions, students at both schools evaluated adaptive courseware similarly in terms of learning environment, guidance path, and progression (Dziuban, Moskal, Johnson, & Evans, 2017).